Subex Ltd, a leading telecom analytics solutions provider, will be hosting the 14th edition of its Global User Conference from 24th to 25th of October, 2017 at Zagreb, Croatia. The theme of the conference will be “Digitalisation: Mirroring Opportunities with Reality”, and will focus around the implementation and operational aspects of digital transformation. The Subex User Conference 2017 will be attended by delegates from leading wireless and wireline operators across the globe. This year’s User Conference will be presided over by two eminent personalities in the telecom domain: Mr. Dean Smith, Founder & CEO, Assuring Business and Mr. Carl Lyon, Managing Director, Perpetual Experience Limited. Among the keynote speakers for this year’s User Conference is Rohit Talwar, Futurist and CEO – Future Research, Dana Adams, Director of Security Services at Telus, Andreas Manolis, Head of Strategy & Risk, Group Revenue Assurance at BT Group, and Professor Paul J. Morrissey C.Eng., F.I.E.E., Global Ambassador of TMForum. 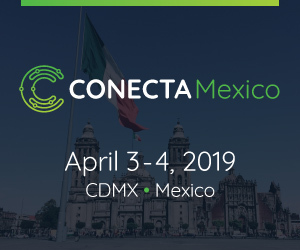 Also speaking at the event will be Debra Shindler, Senior Director Revenue Assurance, T-Mobile, Laura Iglesias Febrero, Head of Cyber Security, Telefonica, and User Conference veteran Eric Priezkalns, Steering Committee Member, RAG Forum & Editor, CommsRisk. The Subex Operator Excellence Awards also makes it return for the third year. The Subex Operator Excellence Awards aims to recognize forward thinking customers and partners who have been in the forefront of adopting the best practices in the industry and have showcased new standards of excellence and innovations in the telecom space. The awards will be presented on the 2nd day of the conference on Oct 25th, 2017.